Have you been wondering about the monster on the Wabuno Beach? Well I was, and I have an answer compliments of Peter Brown, Director of Public Works. 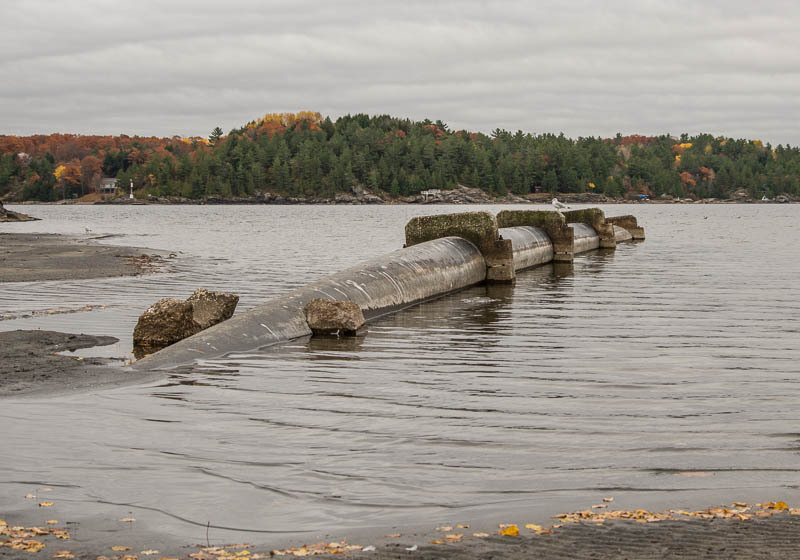 It’s a storm water pipe that directs waste water from the storm sewers out to the Sound. Want another good reason for bringing your waste oil and other liquids to the transfer station for processing rather than dumping them down the sewer? Here it is. You may or may not be swimming in it, but you will be drinking it. And it’s not a good idea to be ‘hosing’ down your driveways. The oils, salts and road residue that collects on your tires and driveway will also end up in your drinking water. Thank you for reminding people of that!